The shop sells giftware, children's fabrics and artwork. Katie has always enjoyed art and design and while on maternity leave decided to design a range of kids fabrics and artwork. She creates them by completing an acrylic painting which is then scanned in and printed digitally onto fabric in Keighley. The fabric is made into lampshades and the cushion covers are produced locally in Cross Roads. There are also co-ordinating prints which can be personalised with children's names and dates of birth. here are also giclée prints available to compliment the range. 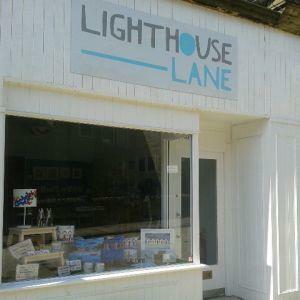 Lighthouse Lane has been created with children in mind. Colourful and quirky, the designs are simple and fun and hope to appeal to children and parents alike.